Who makes the trains run on time? Longteng Broken Bridge 龍騰斷橋 is a historic roadside attraction in the hills of Sānyì 三義 in Miáolì 苗栗, Taiwan. More formally known as Yutengping Broken Bridge 魚藤坪斷橋, it was originally constructed in 1907 during the Japanese colonial era, connecting Zhúnán 竹南 and Taichung 台中 along what is now known as the Old Mountain Line 舊山線. 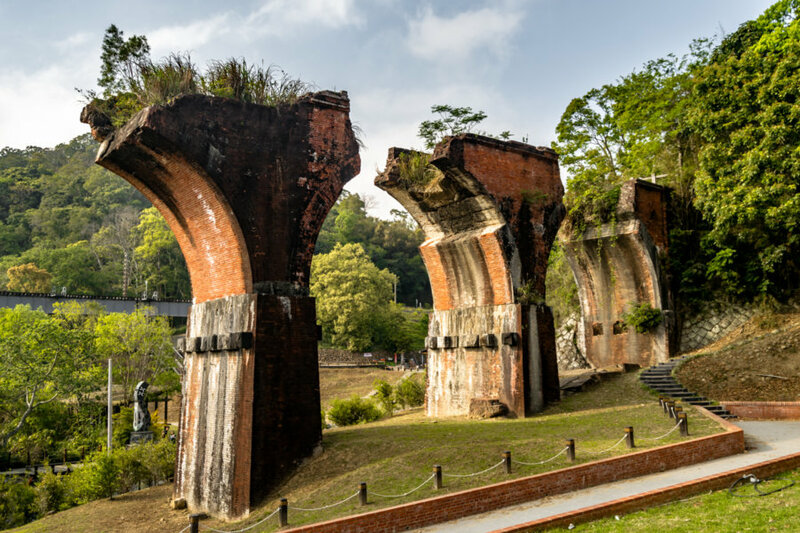 The bridge collapsed during the devastating 1935 Hsinchu-Taichung Earthquake but the ruins were never cleared away. Further damage was done in the 921 Earthquake in 1999. 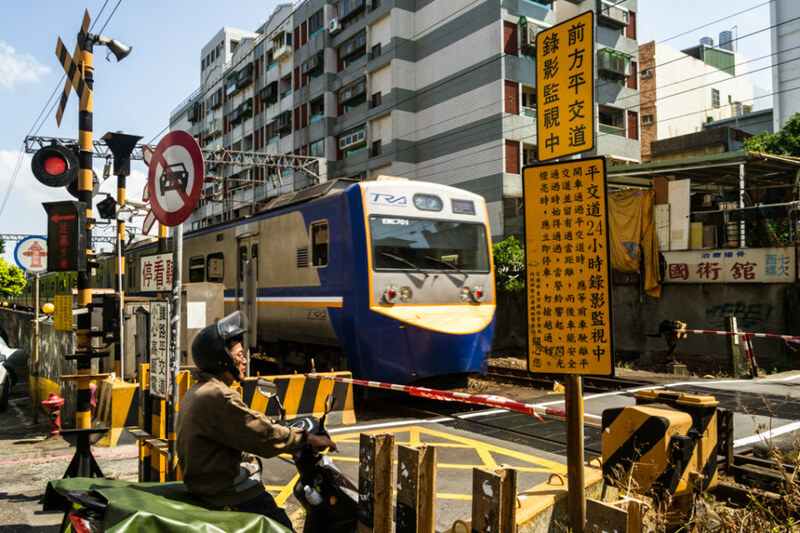 Several years later it was designated a historic site by the Miaoli County government and subsequently developed for tourism along with the former Shengxing Station 勝興車站. Èrshuǐ 二水 is a rural township located in the southeastern corner of Changhua 彰化, bordering Yúnlín 雲林 and Nántóu 南投. 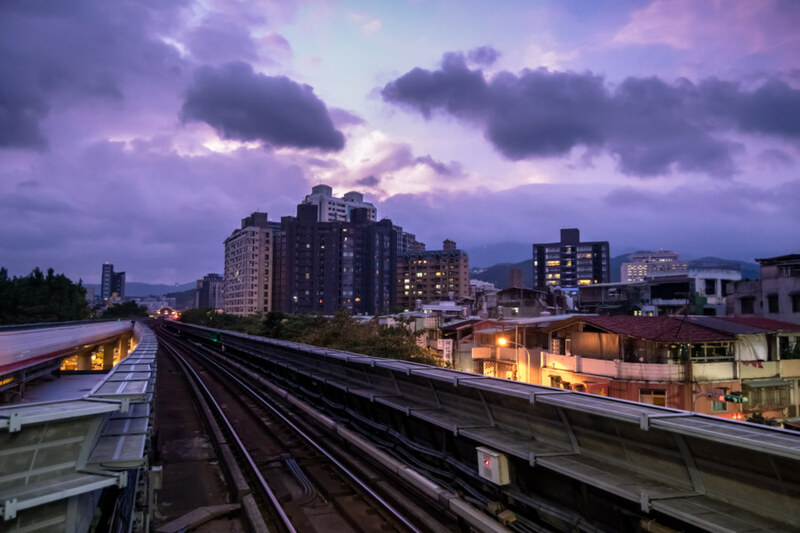 Ershui Station 二水車站, constructed in 1935, is the primary point of transfer between the Main Line 縱貫線 of the Taiwan Railway Administration (TRA) and the Jiji Line 集集線, a tourist railway leading into the interior. Ershui, which literally means “two water”, is named after the Babao Canal 八堡圳, an extensive system of artificial waterways still responsible for irrigating much of the Changhua Plain 彰化平原 three centuries after it was devised. 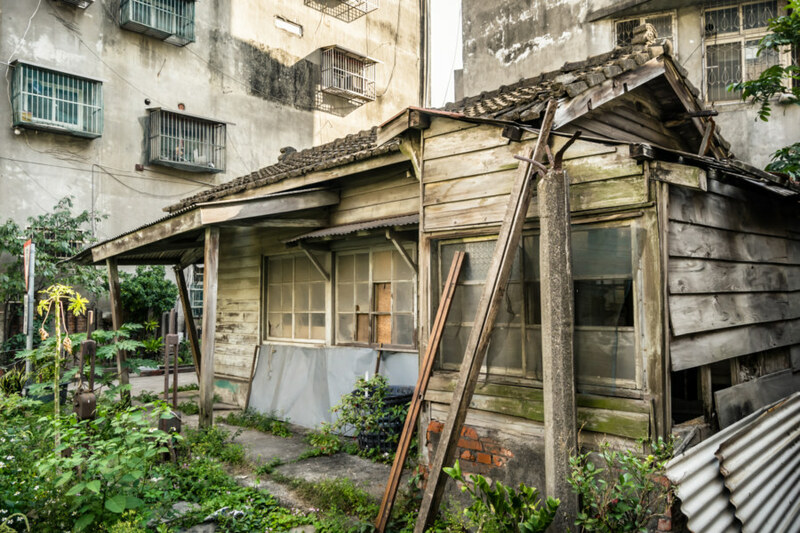 During the Japanese colonial era this small town prospered as a center of woodworking while farmers in the countryside cultivated bananas, grapes, guava, and tobacco, among other crops. 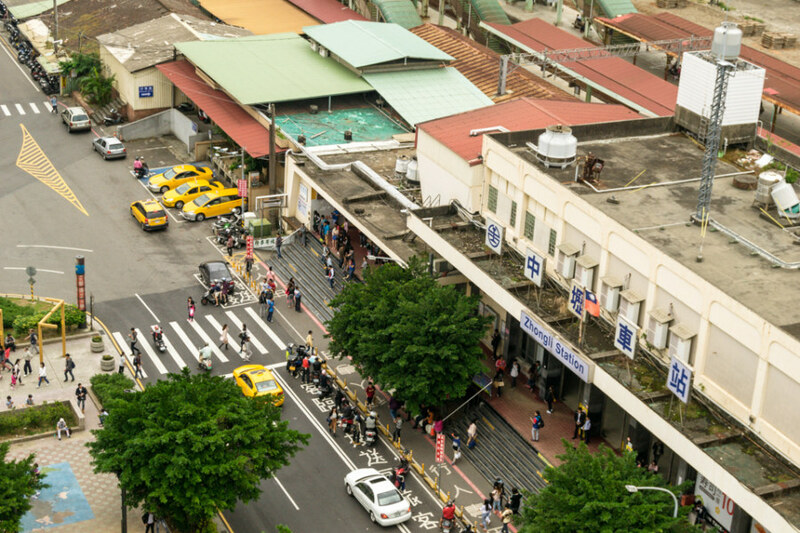 Nowadays it is mainly known as a sleepy stopover on the way to parts beyond—but a closer look will reveal several points of interest for anyone curious about Taiwanese history, architecture, and vintage style. South Yuanlin Station 南員林站 is an abandoned Japanese colonial era railway station located not far from the newly reopened Yuanlin Station 員林車站 in the heart of Yuánlín 員林, a mid-sized city in central Changhua 彰化. It opened in 1933 as a small stop on the now-derelict Yuanlin Line 員林線 of the Taiwan Sugar Railways 臺灣糖業鐵路, which formerly ran west for about 9 kilometers across the Changhua Plain 彰化平原 to the Xihu Sugar Factory 溪湖糖廠 in Xīhú 溪湖. Apart from facilitating the transport of sugarcane and other cargo this old wooden station also provided passenger service until it was abolished sometime around 1975. Today I breezed through southern Taichung 台中 on my way to the high-speed rail station and parts beyond. Along the way I made a brief stop in Wūrì 烏日 to follow up on a lead I uncovered while researching my much longer feature about the historic Japanese colonial era Wuri Police Station. Apart from the police station there are two other officially designated historic sites in the district (with nearby Jukuiju Mansion almost certain to become the fourth in the near future). One of these is the former Stationmaster Residence 站長宿舍 next to Wuri Station 烏日車站, pictured here. Despite its status as a heritage property the city has done nothing to restore it and little to maintain the old residence. About all they’ve done in recent years is put up metal fencing sturdy enough to prevent the intrusion of mildly curious explorers such as myself. In the absence of a more thorough history that’s about all I have to say about this find. For a few more photos of this old ruin have a look at this blog from 2013. Finally, for those of you uncertain who or what a stationmaster is, Wikipedia has you covered. I resided in Zhōnglì 中壢, Táoyuán 桃園, for two months at the very end of 2015 for reasons outlined in my first dispatch. In short: I wanted to try out living in another city in Taiwan and had a few good friends in the area, one of whom is fellow Canadian blogger Josh Ellis. In my time in Zhongli I captured numerous scenes from everyday life in this burgeoning conurbation of half a million. 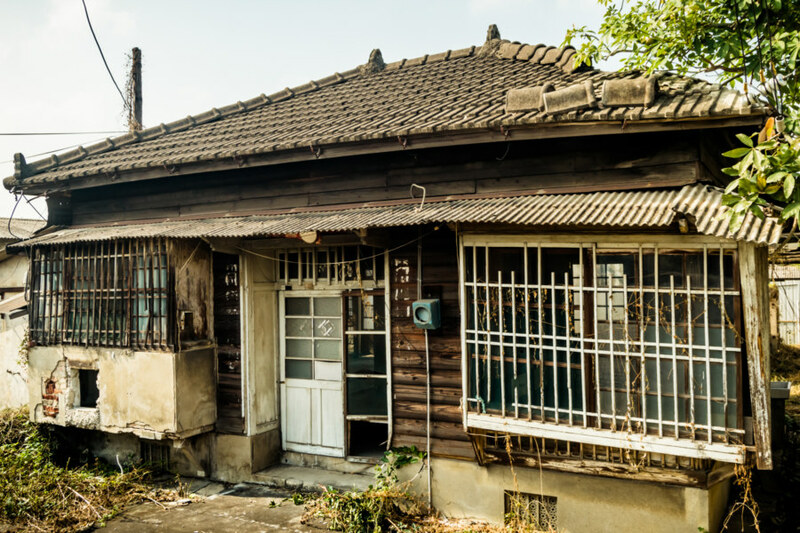 This post is meant to convey a sense of what it was like to live there for a while—just as I previously did for my time in Wenshan District, Taipei 台北. It is not meant to be a comprehensive guide or a review; think of this as a loose collection of snapshots and impressions of a middling Taiwanese city not commonly documented in English. Flashback to January 2014. Having previously visited Tainan 台南 on my round-the-island bicycle trip I return for a few days to suss out whether I’d like to move down south or not (which, of course, I do). On my way out of town I snap this photograph of the ticket booths at Tainan Station 台南車站 before walking out to the platform to take the train north to Taichung 台中. I was bound for Taichung Airport 台中航空站 and a brief stay in Hong Kong 香港 to satisfy my visa requirements. 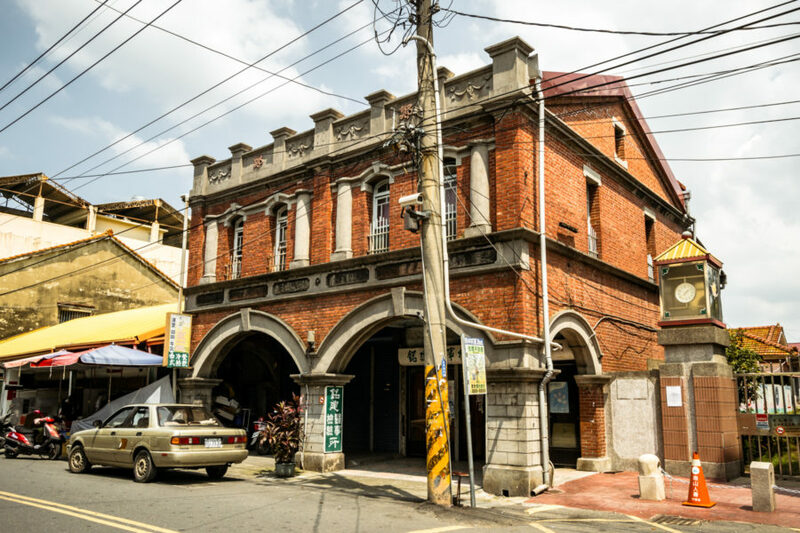 One of the most extraordinary attractions in Taiwan is the historic Changhua Roundhouse 彰化扇形車庫, originally built in 1922 during Japanese colonial rule and still in operation today. 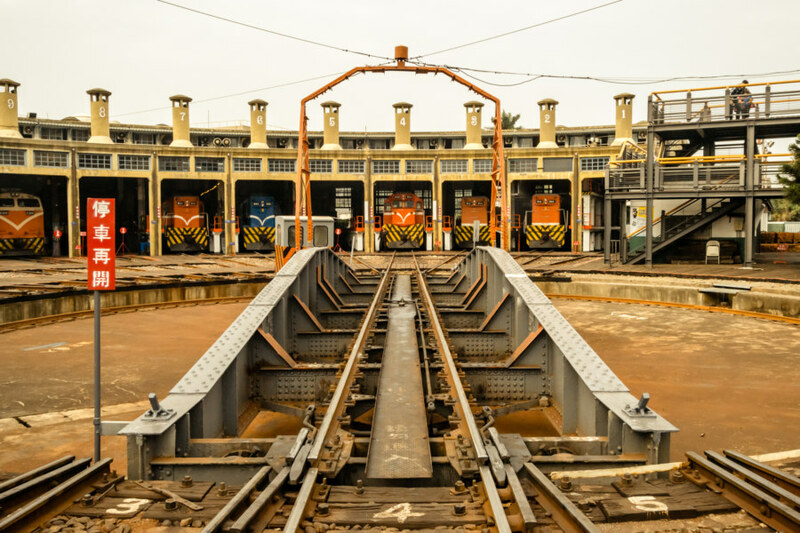 Although information is hard to come by it seems that it might be the only roundhouse still operating in Asia—and certainly one of the oldest still in regular use anywhere in the world. Every other roundhouse I researched for this article has been abandoned, demolished, repurposed, or converted into a museum, and those rare few that are still operational have been mighty hard to date. 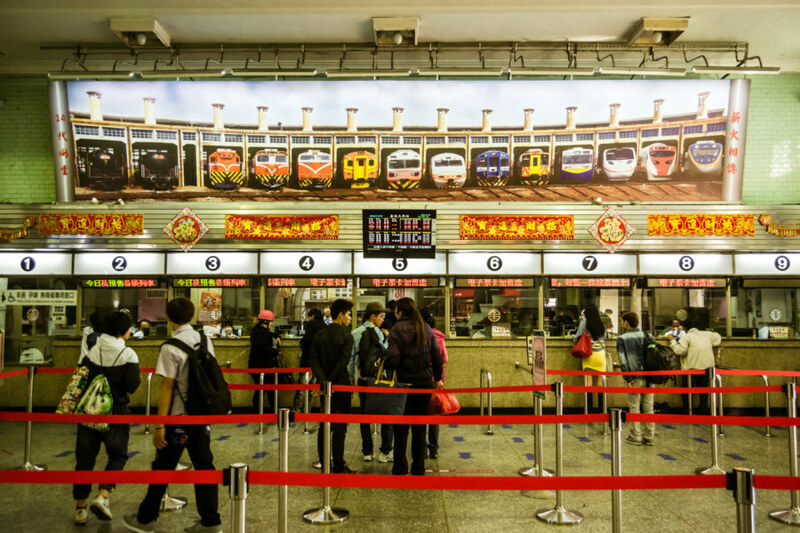 As such, the Changhua Roundhouse is a dream to visit for a railway enthusiast like myself, particularly since the ambiance hasn’t been ruined by the sort of tacky treatment you’ll often find at Taiwanese tourist attractions. After signing in with the guard at the gate I had free run of the place—and as you can see from some of the following photos, nobody minded me getting dangerously close to moving trains as the mechanics went about their daily routines. 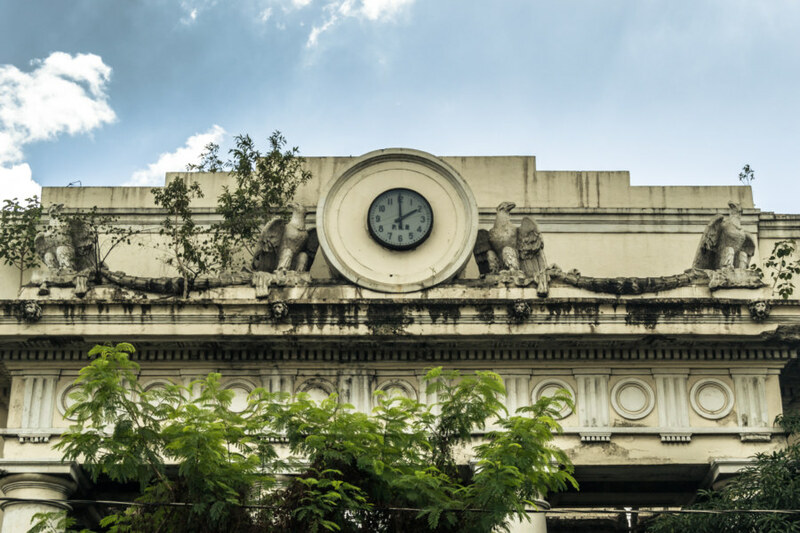 Paco Railway Station was built in Paco, Manila, in 1915 during the American colonial period. Designed by William E. Parsons, an American architect mainly known for his work in the Philippines, it remained in service until the mid-1990s when it was partly demolished by a developer intent on building a mall next door. The ruins of that project, never completed, can still be found next to the old station, spreading decay like a cancer through this part of the city. Last night I saw one of the weirder sunsets I’ve ever seen in Taiwan. For reasons beyond my understanding the sky turned a vivid shade of lilac after the sun disappeared behind the clouds just as I arrived at Mingde 明德站 in Běitóu District 北投區. I regularly post-process my images to give them something of an alien aesthetic but there wasn’t any need in this case. I’ve edited the photo to boost contrast but left the toning alone. It really was that shade of purple. And what a strange night it was—crossing paths with the last person I expected to see. Last week I went out with a friend to explore rural Hsinchu 新竹. After checking out a cable car tower in Guānxi 關西 we slipped over the township line to Héngshān 橫山 to make a brief pitstop at Hexing Station 合興車站, the only wooden train station on the newly reopened Neiwan Line 內灣線. Inside the station house we discovered this wall of vintage clocks, obviously somewhat contrived but every bit as photogenic as intended. 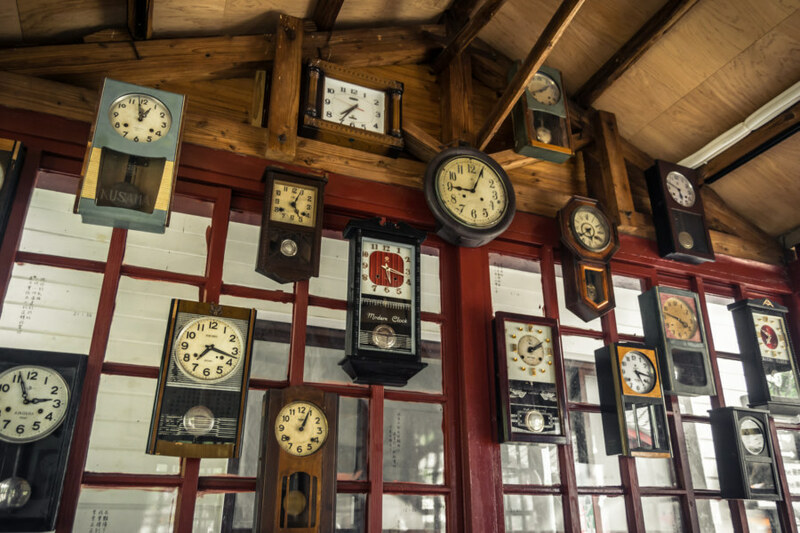 Although this station (and the rest of the railway line) was built in the 1950s, after the Japanese colonial period, many of these mechanical wind-up clocks bear Japanese names like Gifutokei, Aichi, and, of course, Seiko.